Under a joint project, Audi and E.ON Hungaria are building a solar energy park on the roofs of the two logistics centers of Audi’s plant in Győr covering about 160,000 square meters. 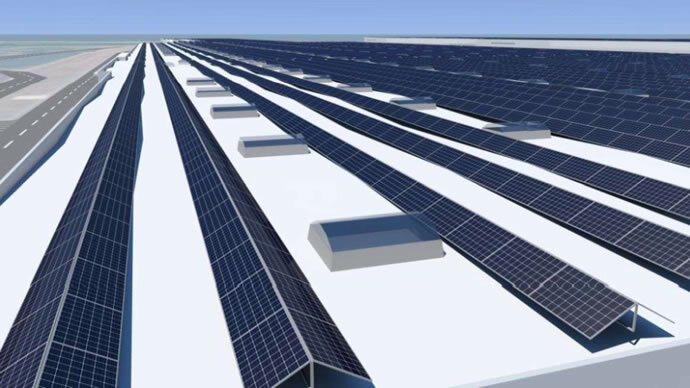 This will be Europe’s largest photovoltaic system installed on a building. It will have a peak output of 12 megawatts. 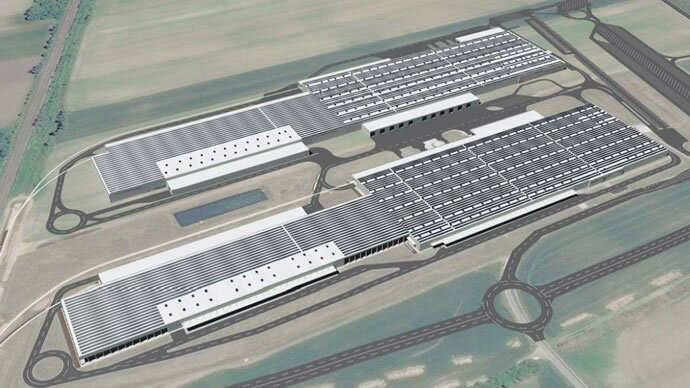 As part of the joint project with E.ON Hungaria, Audi is providing the roof areas of the two logistics centers, each with about 80,000 square meters, for the construction of the solar energy park. E.ON will put the park into operation, consisting of 35,000 solar cells, and will continue to operate it, with an annual output of more than 9.5 gigawatt hours (GWh) of electricity. This corresponds to the annual energy requirements of 5,000 households. Thanks to green electricity from regenerative sources, about 6,000 tons less carbon dioxide will be released into the air. In addition, AUDI AG, together with its partners, is committed to feeding resources into closed cycles and reusing them as completely as possible. Construction work will start in August 2019 and renewable energy generation will start at the beginning of next year.